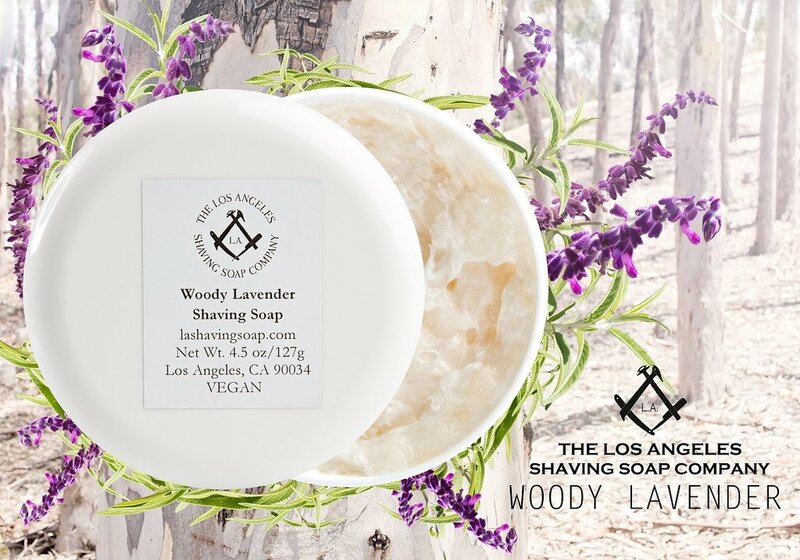 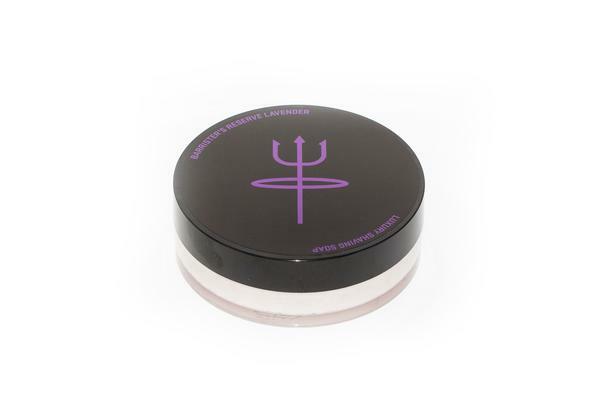 Using The Los Angeles Shaving Soap Company's artisanally saponified vegan shaving soap formula, this soap is gently scented with Lavender, with Ho Wood, Amyris, and West Indian Bay adding a woody undertone. 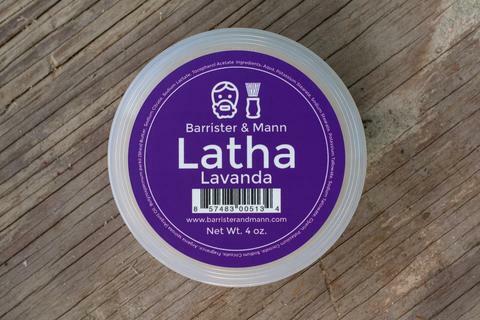 Vegetable Stearic Acid, Distilled Water, Coconut Oil, Potassium Hydroxide, Vegetable Glycerin, Essential Oils (Lavender, Ho Wood, Amyris, Pimenta Racimosa (West Indian Bay)). 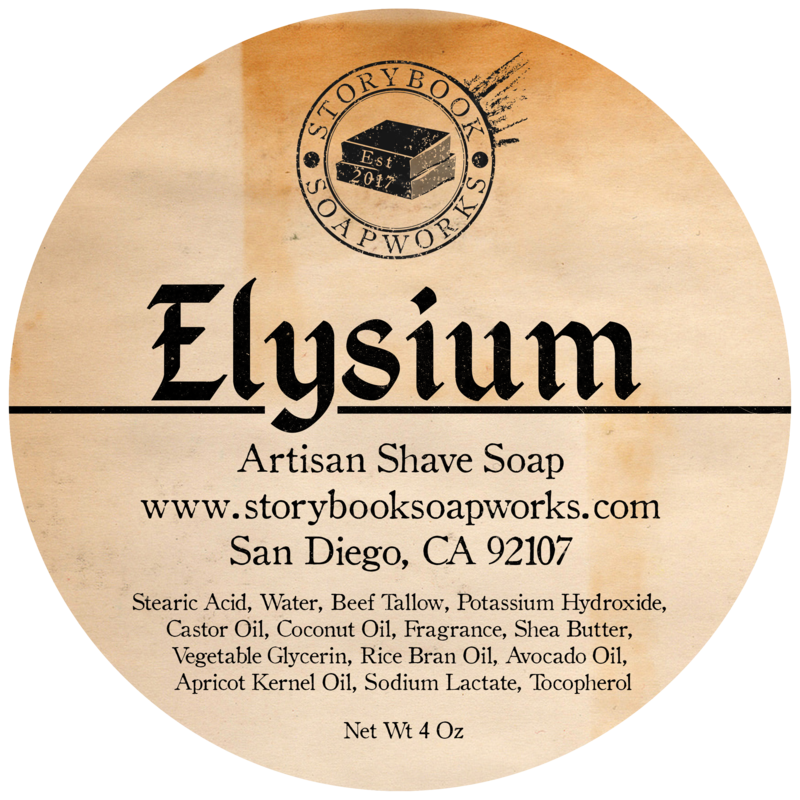 Stearic Acid, Palm Kernel Oil, Potassium Hydroxide, Glycerin, Shea Butter, Castor Oil, Water, Aloe Vera Juice, Essential Oils (Vegetable Stearic Acid, Distilled Water, Coconut Oil, Potassium Hydroxide, Vegetable Glycerin, Essential Oils (Lavender, Ho Wood, Amyris, Pimenta Racimosa (West Indian Bay), French Red Clay, Sodium Lactate, Allantoin (comfrey plant). 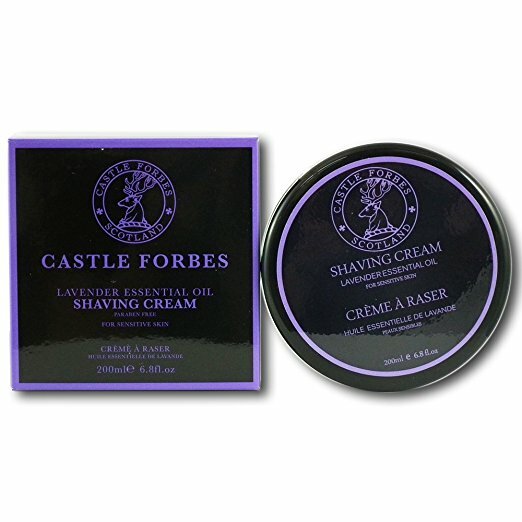 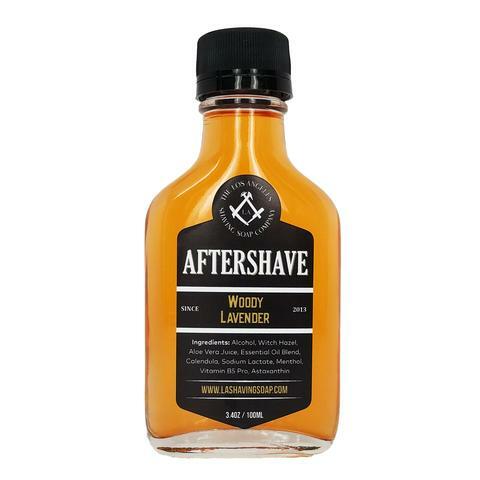 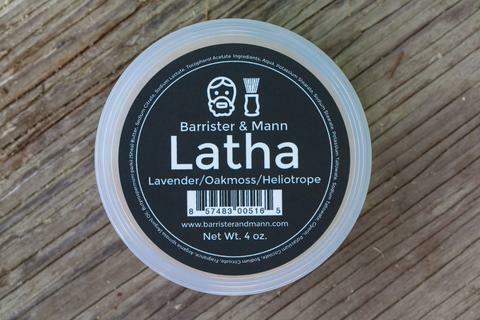 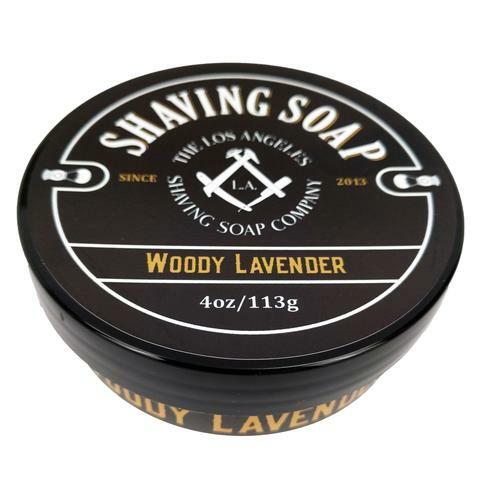 Unfortunately, there are no purchase links for LA Shaving Soap Co. - Woody Lavender - Aftershave.